8-Mobile is mobile HTML template for admin enterprise and non-enterprise application Development. We have created pure HTML and CSS template with based on Bootstrap 4 framework bete version. Our Goal is to provide creative , unique and scalable template with lot of customizability and flexibility to use components from Library. 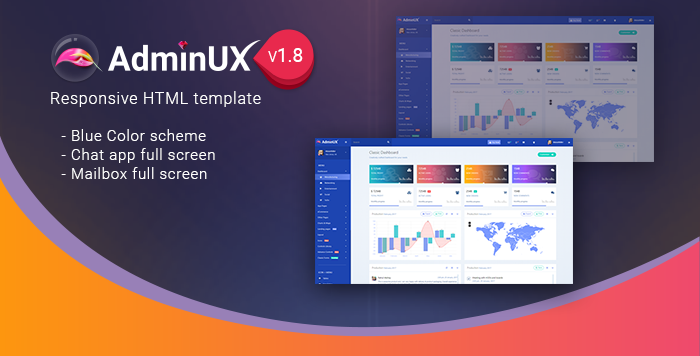 We have also try to include as many as possible third party plugins for presenting how they can get incorporated and it look with our template design. We like to thank all third parties mentioned and pixabay.com for providing free images. We really love images and quality provides. We also love our customer and soon we have more with 8-Mobile HTML template. Please rate us and share 8-Mobile HTML template.